I drove my car across five states to bring it to Seattle. I probably shouldn’t have bothered. Parking is such a scarce commodity that I pretty much ride the bus everywhere. I’ve put gas in my car a total of five times this year. All that bus riding has given me ample time for recreational reading, something I seldom indulged when I lived in Austin. For a while I was reading quite a number of music-themed books, many of them checked out from Seattle’s impressive public library. Wendy Lesser, Music for Silenced Voices: Dmitri Shostakovich and His Fifteen Quartets I really don’t need anything else from Shostakovich other than his string quartets. I tried his symphonies and some of his chamber music works, but they don’t capture me the way the quartets do. Anyone who loves these quartets would enjoy Lesser’s examination of these works, especially in regard to the events of his life surrounding their creation. Rob Sheffield, Talking to Girls About Duran Duran The chapter about the Smiths is pretty much worth the entire book. Kim Cooper, Neutral Milk Hotel: In the Aeroplane Over the Sea I finished this book with the impression that other books in the 33 1/3 Series would match it in terms of readability, thoroughness and engagement. That was a wrong impression when I struggled to finish Ben Sisaro’s treatment of the Pixies’ Doolittle. Kyle Gann, No Such Thing as Silence: John Cage’s 4’33” I devoured Kyle Gann’s columns in the Village Voice when I was a precocious college student hell bent on being what would eventually become Nico Muhly (that is, a classical composer with rock credentials). But I think Gann bit more than he could chew with this book. The story of 4’33” seemed to finish about half way through the book, leaving Gann to fill the rest of the space. Thomas Larson, The Saddest Music Ever Written: The Story of Samuel Barber’s Adagio for Strings Thomas Larson could have focused exclusively on Barber and his relationship with Gian Carlo Menotti, and it would have been a must-read. But Larson added some bits of memoir and some questionable music analysis and ended up with a bit of a muddle. 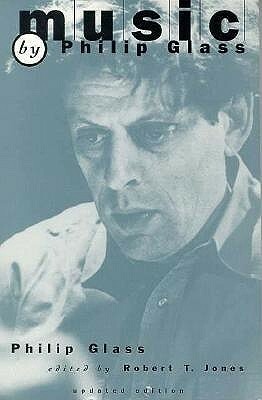 Between reading John Adams’ autobiography and seeing Einstein on the Beach on stage, I wanted to re-read Philip Glass’ autobiography, Music by Philip Glass, which I’d first checked out of the library back in high school. That would have been some time in late ’80s, only a scant few years after Glass had premiered his third opera, Akhenaten. There was just one problem — it’s been out of print since the mid-90s. But a stop by Powell’s City of Books in Portland on my way from Austin to Seattle fixed that problem right quick. Music by Philip Glass focuses on the period of the composer’s life when he created his first three operas: Einstein on the Beach, Satyragraha and Akhenaten. They’re labeled a “trilogy”, but I don’t get the sense from Glass that he set out to write these operas in the same way George Lucas set out to create the Star Wars universe. Einstein on the Beach was enough of a success that it allowed Glass to scratch an itch to make additional works about history-changing figures. Marketing forces certainly helped along in billing these works as part of a greater whole. The book also includes the complete libretti of these works, filling it out to make up for Glass’ mostly straight-forward remembrances. Glass ruminates a bit of his creative process but not in the depth Adams did in his book, Hallelujah Junction. It’s not quite a fair comparison since Adams wrote his book at a point much later in his career than Glass did his. Which pretty much means that Music by Philip Glass is good candidate for a major update. It’s been 25 years since the book’s publication, and Glass has far larger body of work to cover — additional operas, film scores and a number of symphonies. Still, it’s a nice insider’s look on the amount of work that goes into staging large-scale works such as operas. Despite the critical success of Einstein on the Beach, the touring production left Glass and directory Robert Wilson in debt to the tune of $190,000. It took years for the Wilson’s production company to pay it off, and Glass still drove a taxi cab and worked as a plumber afterward. Glass also describes how he never composes in the afternoon. He establishes a routine for himself so that creative ideas don’t occur to him when he’s dealing with the business end of arts programming He also writes about the years preceding the trilogy, including his tutelage under Nadia Boulanger and work with Ravi Shankar. All that’s missing now are the two decades following the trilogy. A sequel is definitely in order. I knew going into it that Greg Kot’s Ripped covers a subset of what was already detailed in Steve Knopper’s Appetite for Self-Destruction. Perhaps Kot had something else to say about the period of time overlapping both books — the rise of the Internet in hastening the downfall of the major labels. Ripped does indeed cover much more than just the effects of file sharing on the recorded music industry. Kot mentions how Youtube and Myspace boosted the careers of OK Go and Lily Allen. One chapter focuses on how protest songs against the Iraq War got squeezed out of radio but found audiences on the Net. An overly long love letter to Radiohead covers the emerging marketing techniques used by major artists abandoning the label system, while another chapter briefly mentions artists who decide to remain in the system that fed their careers. Kot takes a wide snapshot of the various ways creating and selling recorded music happens in the first decade of the 21st Century. But that’s all it is — a snapshot. John Adams is a smart guy. The New England-raised, California-based composer played clarinet concertos when he was a teenager. He tried to study ancient Greek while at Harvard in order to read the classics in their original language. (He didn’t get far.) He’s composed operas about Richard Nixon and the development of the atomic bomb. As such, Adams can’t help but come across as the smart guy he is, and when he’s relating stories about the creation of his biggest works, he’s entirely engaging.